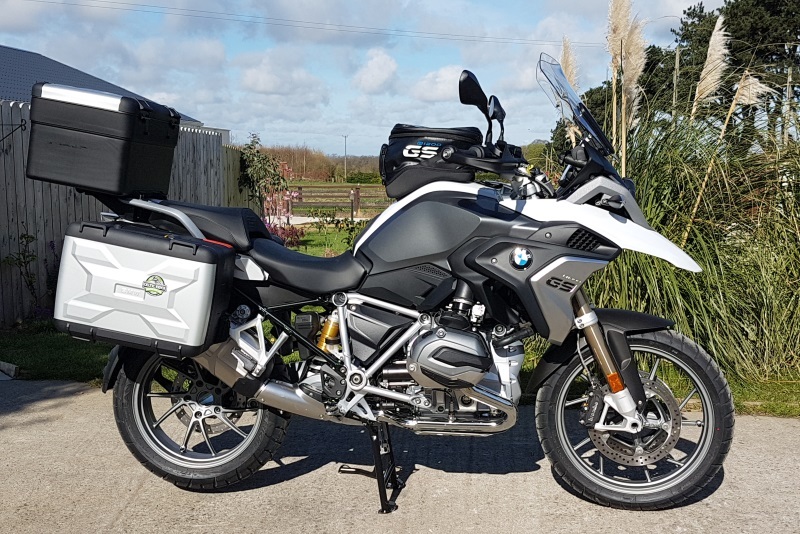 The BMW F700GS is a lightweight, reliable all-rounder. We have 6 of these motorcycles, half are factory lowered with optional low seats also. 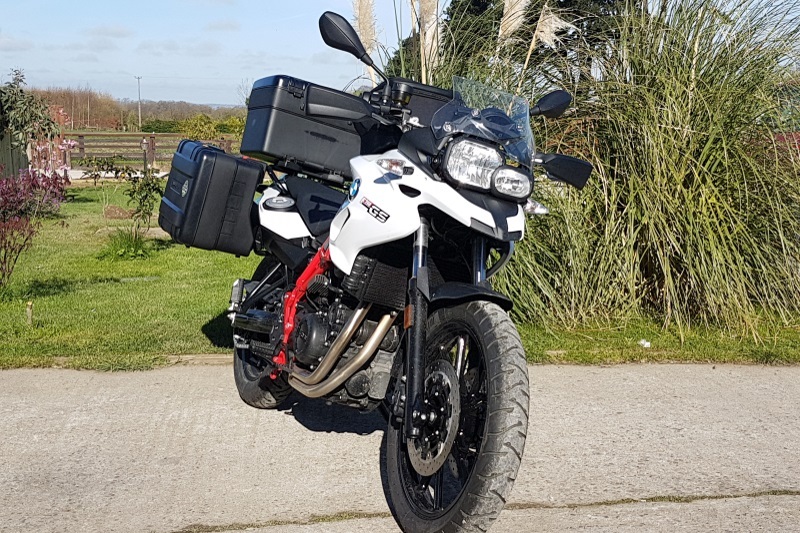 ABS as standard, plus heated grips. The new 800cc parallel twin engine is powerful, yet very economical, easily transporting rider and pillion with comfort. 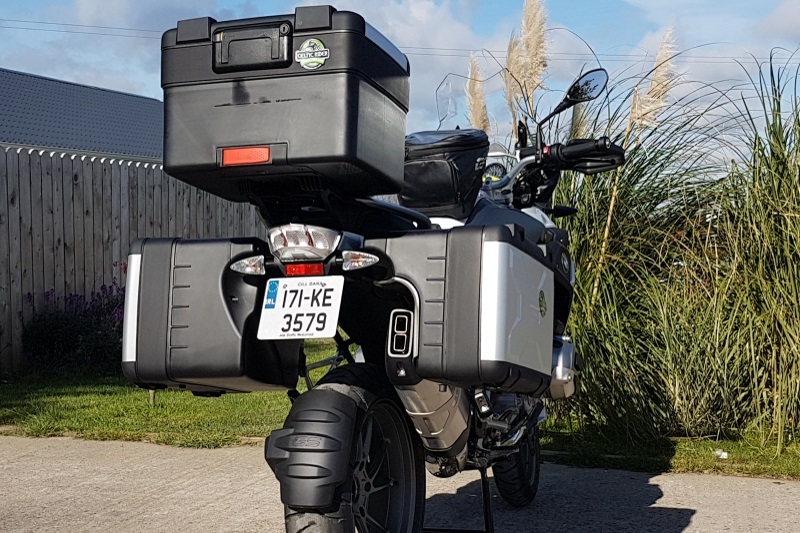 Add the BMW waterproof full luggage system, with 116 litres of capacity ( three lockable cases) and matching inner liner bags, ABS brakes as standard, a choice of factory lowered bikes and standard height, now let your adventure begin! 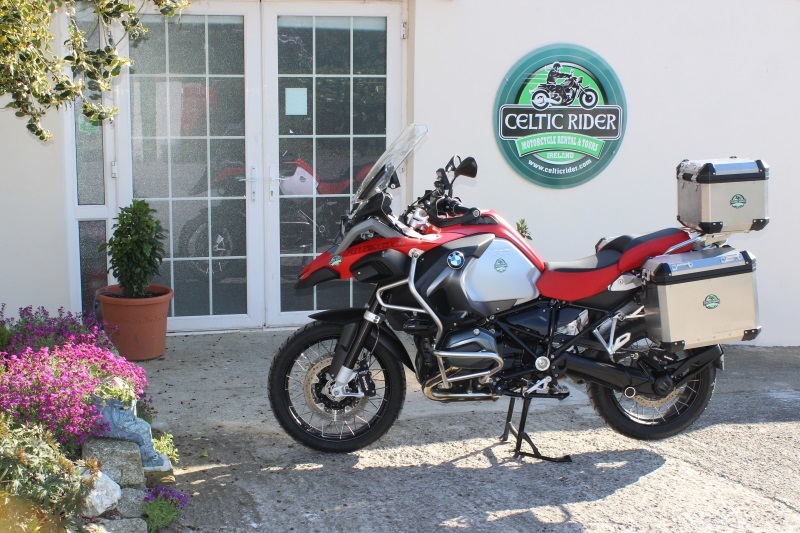 We consider this to be the ‘little brother’ of the BMW R1200GS, and we are delighted with the feedback from our clients at the end of their tours. 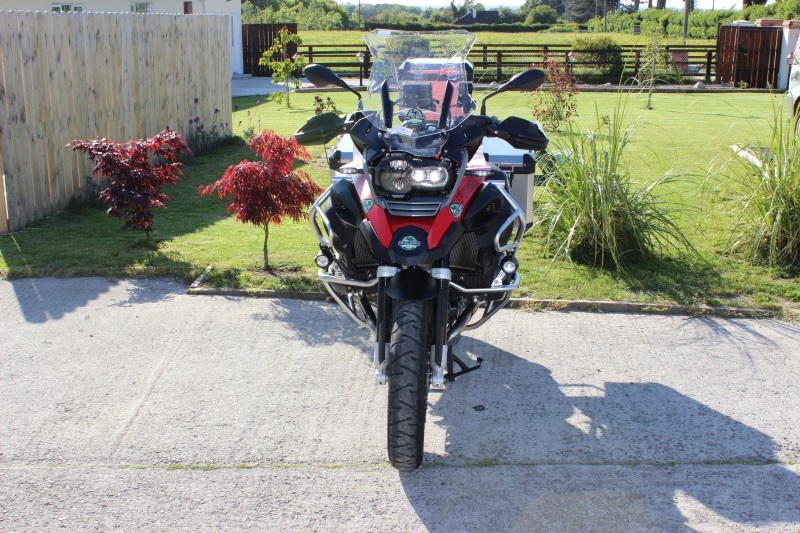 Latest model R1200GS have arrived, 18 in total, half are factory lowered with optional low seats also. 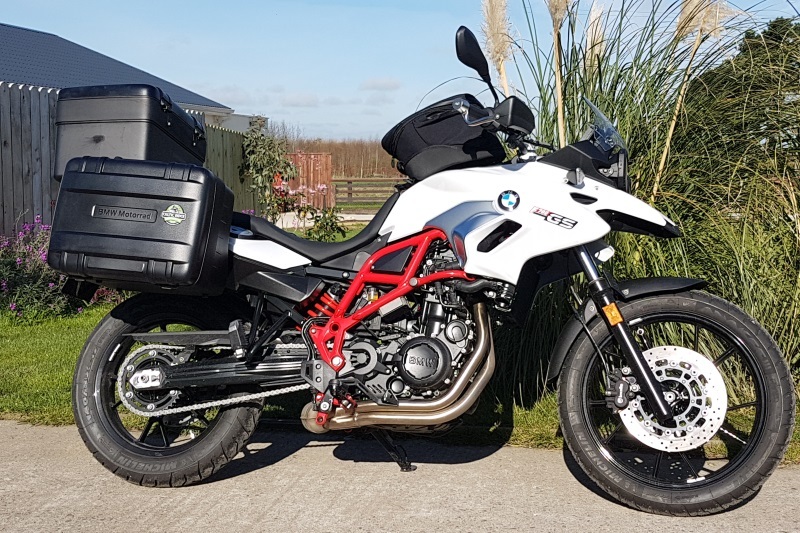 Really great bikes with a combination of unusually good touring comfort for rider and pillion, heated grips, suspension as good as it gets, awesome stopping power with BMWs integrated ABS, and full BMW waterproof luggage system. Ideal for two up riding. 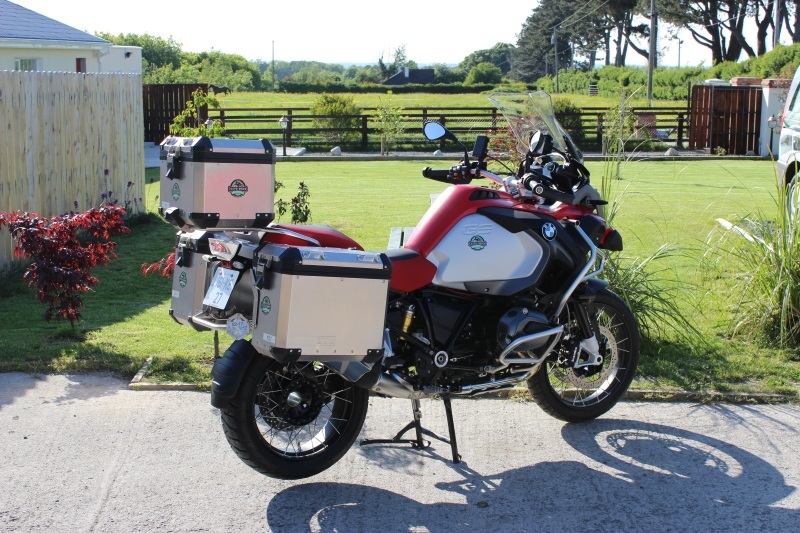 BMW tank bags can be supplied foc to supplement the three luggage cases, we also supply inner liner bags. 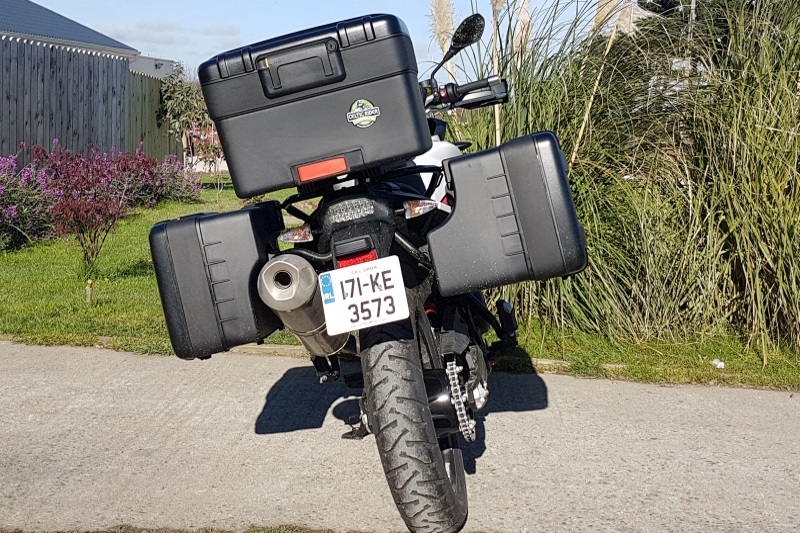 We know this bike and its predecessors were designed specifically for Ireland, a ride over the west of our island will confirm this fact…since we pioneered motorcycle touring in Ireland our back in early 2007, these R1200GS bikes have proved to be the most appropriate for touring our rugged island. 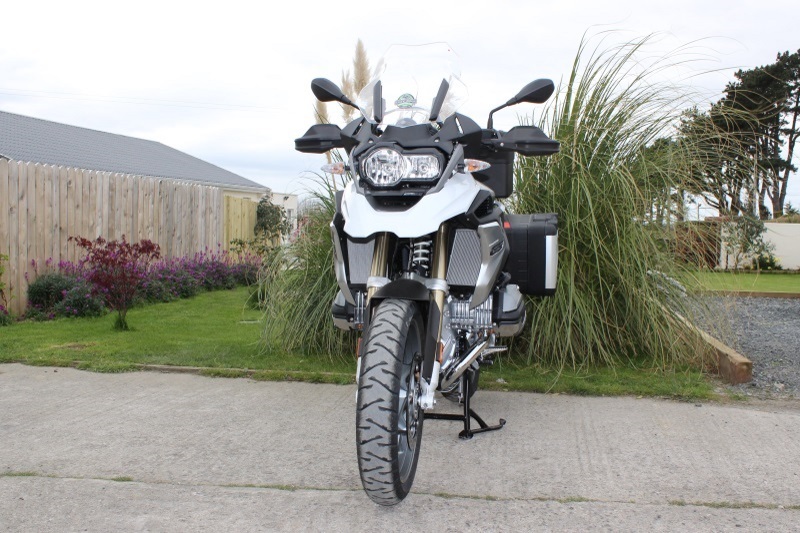 Our latest factory lowered BMW R1200GSA motorcycles have arrived, we have 2 of these in stock! 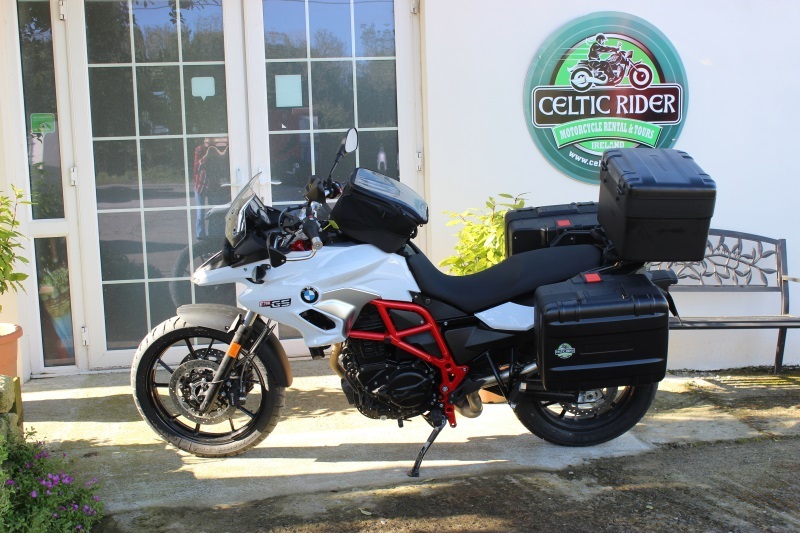 incredible bikes with a combination of great touring comfort for rider and pillion, heated grips, electronic suspension is as good as it gets, awesome stopping power with BMWs integrated ABS, and full BMW waterproof luggage system. Perfect for two up riding. 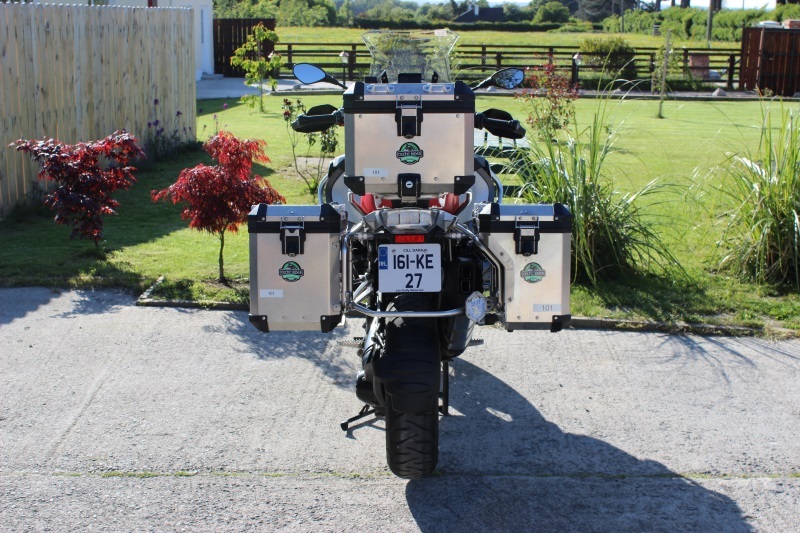 BMW tank bags can be supplied foc to supplement the three metal watertight luggage cases. We also supply inner liner bags for the boxes. It’s like this bike and its predecessors were designed specifically for Ireland! 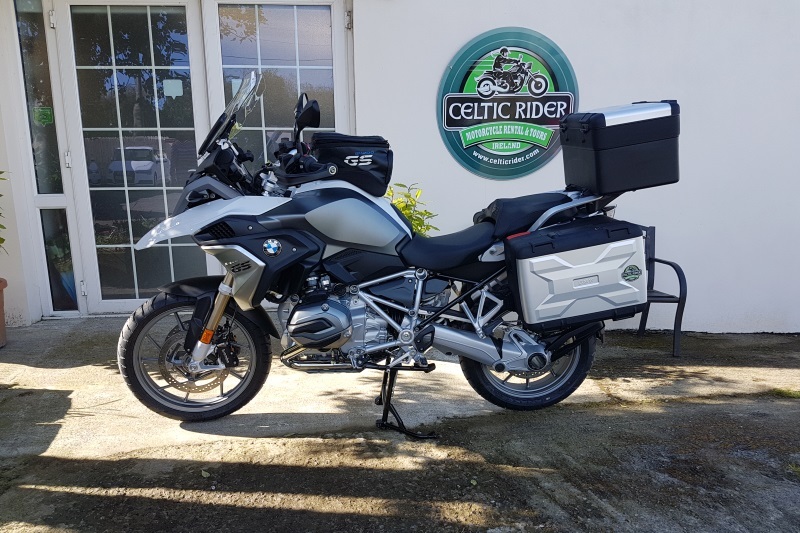 A ride over the west of our island will confirm this fact… Since we pioneered motorcycle touring in Ireland back in 2007, these R1200GS bikes have proved to be the most appropriate for touring our rugged island and the most popular with our customers.